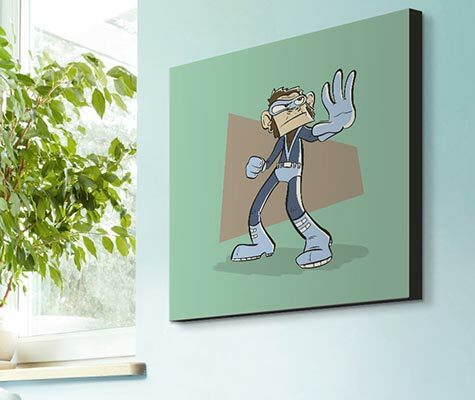 Root for the underdog, undercat, or even the underracoon with the playful Superhero Animal Art Collection. With adorable modern design featuring your favorite animals dressed to save the world, let these furry and feathered friends come to your décor rescue. 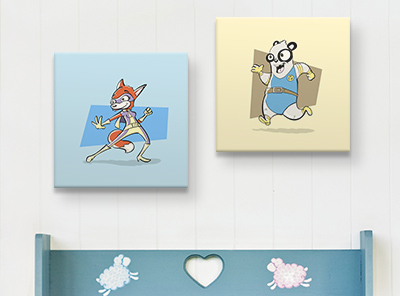 Designed with a love for animals in mind, each piece in the Superhero Animal Art Collection is bursting with playfulness and waiting to save your walls. Each piece is printed on state-of-the-art machinery before being stretched by hand to ensure it's ready to hang as soon as you receive it and made to last for years to come.